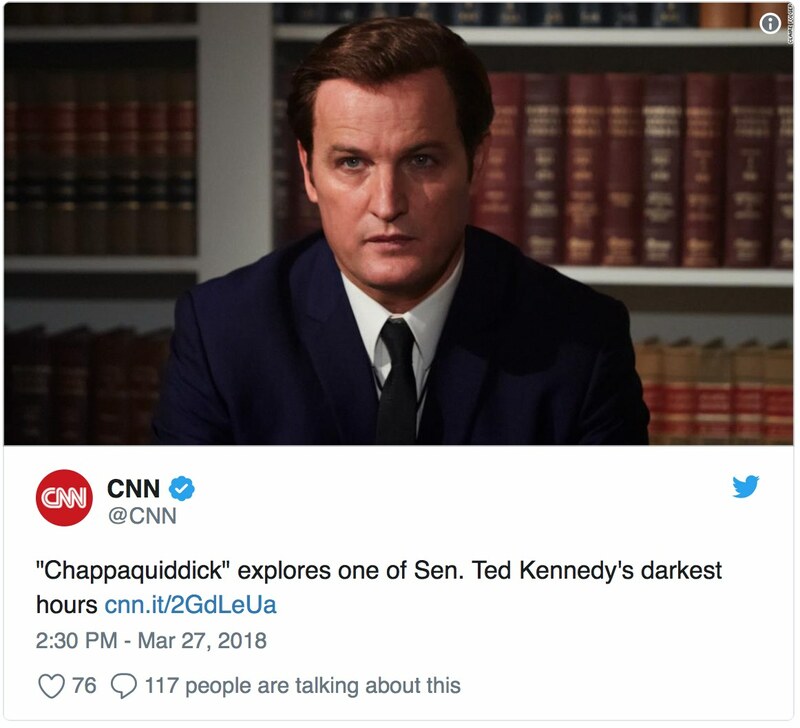 Both in its related tweet and the story's headline, CNN promoted Sandra Gonzalez's Tuesday column about the movie Chappaquiddick as being about "one of Sen. Ted Kennedy's darkest hours." This begs two questions: "Wasn't Chappaquiddick far worse for Mary Jo Kopechne?" and "Did Ted Kennedy have other darker hours?" Director John Curran was at first hesitant to sign on for "Chappaquiddick," a film that explores a tragic chapter in the life of Sen. Ted Kennedy. As a person who admired Kennedy, who died in 2009, Curran had no interest in bringing a "salacious hit piece" to the big screen. Luckily, the script that arrived on his desk "was nuanced and compelling," Curran told CNN via email. The film centers on the 1969 accident in which a car driven by Kennedy lost control while crossing a bridge and crashed into a pond. Kennedy escaped the wreckage, but campaign worker Mary Jo Kopechne died. Kennedy was criticized for waiting ten hours to alert the police. Mary Jo Kopechne's chapter was final, and far more tragic. It's as if there is another defensible position concerning Kennedy's conduct other than criticizing (really unconditionally condemning) it. There isn't. ... "Like most people who supported Ted throughout his career, I was complicit in a way by conveniently ignoring this chapter in his life. When in fact it was this tragedy that determined the arc of his career," Curran said. ... Curran read the script in spring 2016, in the midst of the presidential primaries. With scandals erupting "on both sides of the aisle," Curran admits, he "became almost disgusted with my hesitancy" to tell the story. A woman was dead or dying, and all Ted Kennedy could think about was his political career. As to whether Ted Kennedy had darker hours than Chappaquiddick, many would argue that his treasonous 1983 request for Soviet Union leader Yuri Andropov's help "to intervene in a U.S. presidential election in order to unseat President Ronald Reagan" in 1984's presidential election would qualify.